I got a table runner top done last weekend at retreat, but need to quilt it now. I need a few runners this year as gifts. So I will not say who or what it is for yet. The black print with gold is an old Rose and Hubble Print from 15 or so years ago. I had been saving it. It was time to use it. I like that is is kind of Christmas but could be used any time of the year. I did work on Adam's Plaid spider web quilt but not much more to show. I got most of the strip sets done and about half the cutting. It may make it up on the wall in few weeks. On the way to retreat, mom and I stopped at a few quilt shops. I did some shopping. I love the Brown and Orange dots. The top left are mostly Christmas prints for more runners. At retreat we also had goody's at our table each morning. 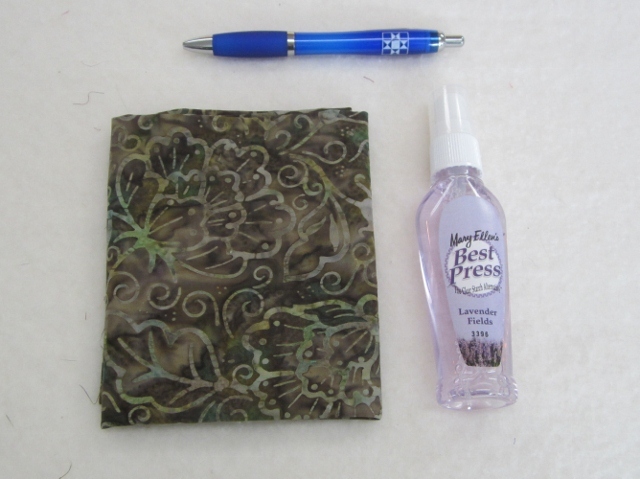 First the pen, then the Best Press and on the last morning it was a batik fat Quarter. Thanks Arley. 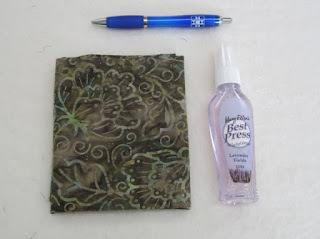 I have added today's post to Freshly Pieced WIP Wednesday, go see what other's are working on this week. Great job of the runner. & even nicer job on the new fabric acquisition! Looks pretty! Very pretty runner. I like the idea that it can be used more than just during the holidays. Nice pattern. Sounds like your retreat was fun. Good useful gifts too. Very nice table runner Cathy- I am sure that the recipient will love it. 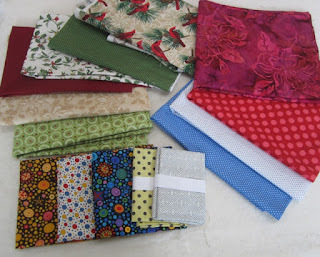 Those dot fabrics look like Kaffe fabrics- I do love his classic fabrics like Roman glass. I have been collecting his fabrics for a while now. I love seeing your work- you always have such lovely things happening on your wall.